Our first full week of cataloging at Ghost Ranch is complete (with many more dishes and mugs to go). We are currently in the kitchen, delicately handling Miss O’Keeffe’s bowls, coffee makers, and silverware – all of the essentials for any good morning breakfast or good evening dinner. I stopped myself as soon as I realized what I was doing. If I was unintentionally cataloging my own home after one day, what is going to happen after one summer? Fortunately, a dictionary and list of proper names are at the ready in case we need to search. These sources hold the words we need if our brains do not. 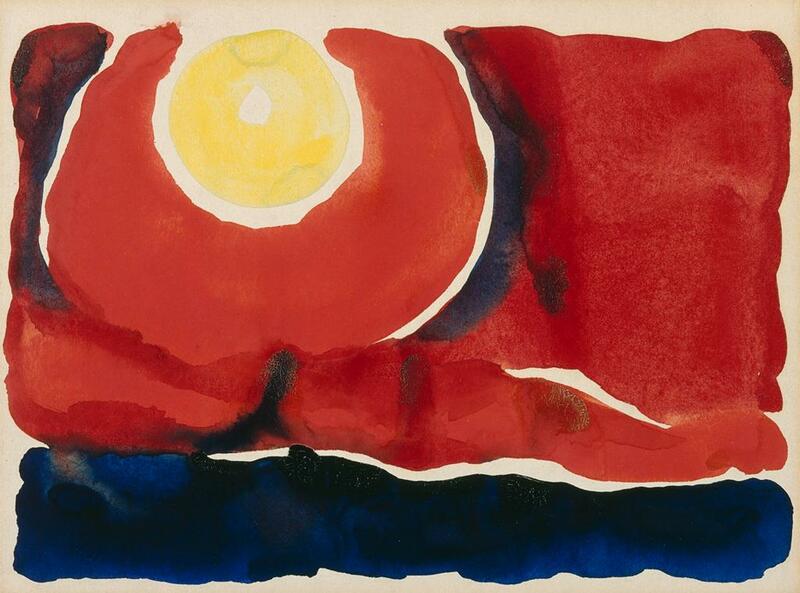 However, Georgia O’Keeffe’s artwork shows that for some experiences, connections, and visions, there are no words. These experiences are abstractions of life that can leave us speechless. “. . . in spite of their apparent specificity, O’Keeffe’s New Mexico landscapes reveal her lifelong commitment to abstraction” (Lynes 13). 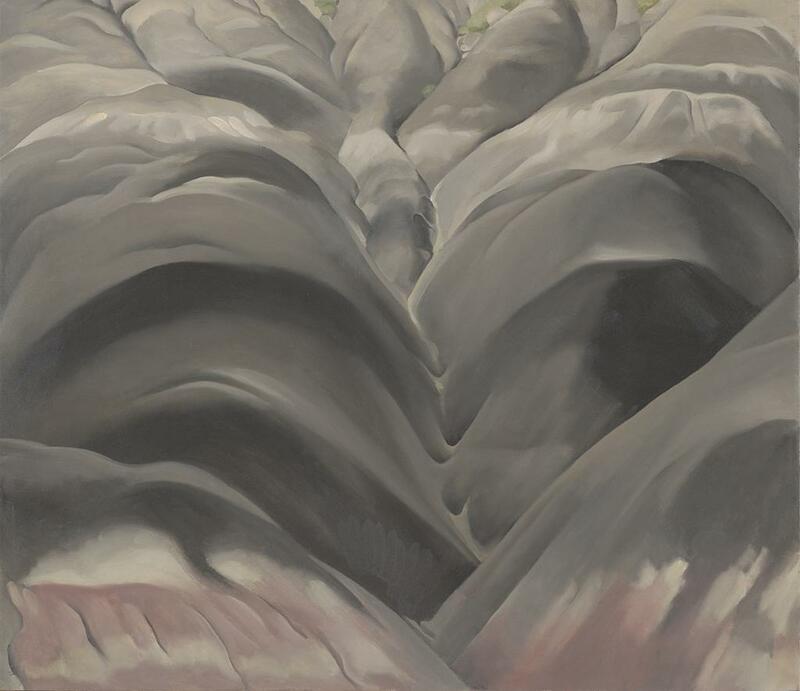 These landscapes were frameworks for O’Keeffe to explore formal devices and experiment with her art, staying faithful to the primary contours as recognizable places, but filling these defining lines with her own visions of the land (Lynes 34). In this way, we can pick out the places O’Keeffe rendered, but we get to see the other layers she added to describe the space through her eyes. 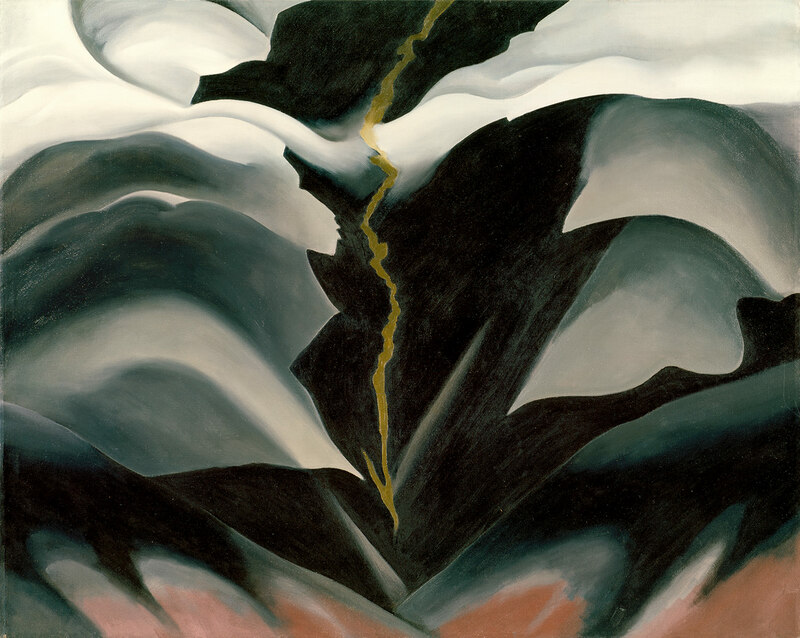 Georgia O’Keeffe’s use of shapes, colors, reductions, and abstractions awaken an evolving landscape that was as colorful then as it is now, adding another layer of history to the formations we see today. Now we can look at her work and see how art fills in the blanks for the details we cannot look up, the details we cannot describe. on view until September 13! Lynes, Barbara Buhler, Lesley Poling-Kempes, and Frederick W. Turner. Georgia O’Keeffe and New Mexico: A Sense of Place. Princeton, NJ: Princeton University Press in association with the Georgia O’Keeffe Museum, 2004. Print.